With The Fighting Chance: Book Two of the Human Race, underway and down to the last two weeks before the release date, I have decided to host a giveawy for a signed, paperback copy of The Human Race through Goodreads. You can enter to win this copy from now until August 12th, which I hope many of you wonderful followers take advantage of. 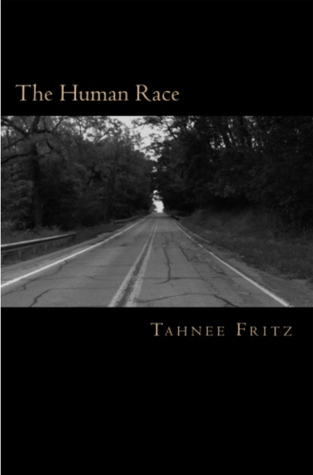 As you all know, I am currently working on the sequel to The Human Race, called The Fighting Chance. It is going great and you’ll still find Bridget being the same badass as always. She’s just on a different journey in this one, but more will come of that later. It will still be a little while before it’s on the market, I’m hoping for late spring/early summer this year. There is something I should have out sooner than that. Another project of mine that I’ve been working on and going through the editing process to get it perfect. This book is quite different than my zombie/vampire trilogy, but there is still suspense and I even added a twist. This book of mine I so cleverly named Crazy For Love. A stalker story that has nothing to do with a man going after the woman, but the exact opposite actually. The girl in this one just goes absolutely crazy for main character, Colton, and she is willing to do whatever she can in order to have him as her own. This one’s filled with drama, suspense, and a little something to keep you guessing. I’m looking forward to having this one out there and I’ll be posting the cover and more of a description as soon as I have both of them perfect. Well, I did it. I sent my book, The Human Race, off to the copyright office. I actually just finished with the whole process a few minutes ago. For those of you who may not know this, it’s really not horribly difficult to sent something to copyright office via their eCO website http://www.copyright.gov/eco/ . That’s how you upload the application online instead of mailing it in and having it take MUCH longer than you want. There’s a tutorial you can download to help you out along the way, which I recommend. It came in handy. Otherwise, most of it is pretty self explanatory and there’s help buttons and guides all along the way.